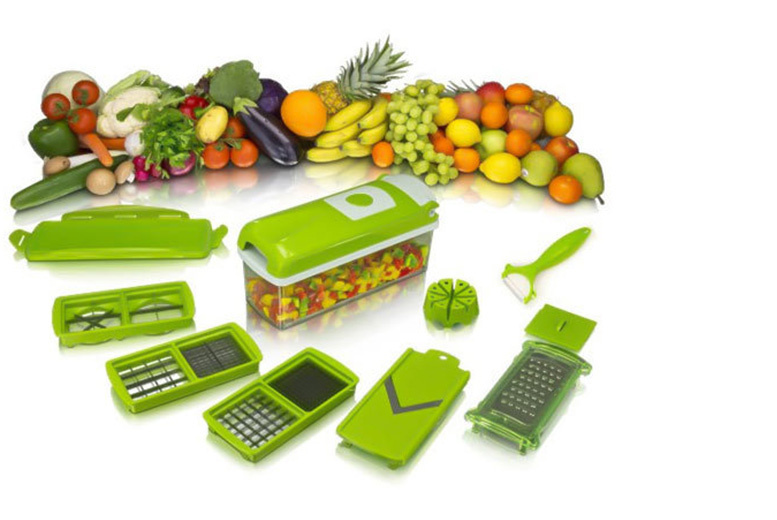 Get a fruit and vegetable slicer. Slices and dices 11 different ways! Set comes with five blades, made from ultra-sharp steel. Each blade gives you a choice of different cutting slices. Additional use as a food storage unit. Create well presented dishes and beautiful salads with minimal effort.